I am hoping to determine if there is a programmatic method to have a button with boolean text with varying font size/color. This is achievable with a strong control using text selection end/start. 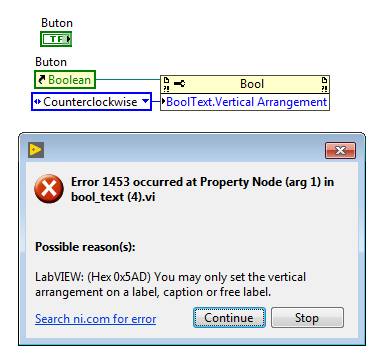 Booleans expose these same properties in the property node... but it doesn't appear to do anything. Even more interesting is that I can copy/paste text with varying color/size into the boolean text... and it will work. Seems like a LabVIEW bug. It it definitively a bug. Benoit, thanks for looking at this with me. So, this is good proof that not everything in the "text property palette" is compatible with boolean text. Which is fine, but the text select end/start should return a similar error in order to indicate the lack of support. 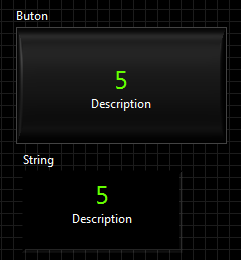 Also, as I said earlier, I can copy/paste text into the boolean text and have it retain properties. 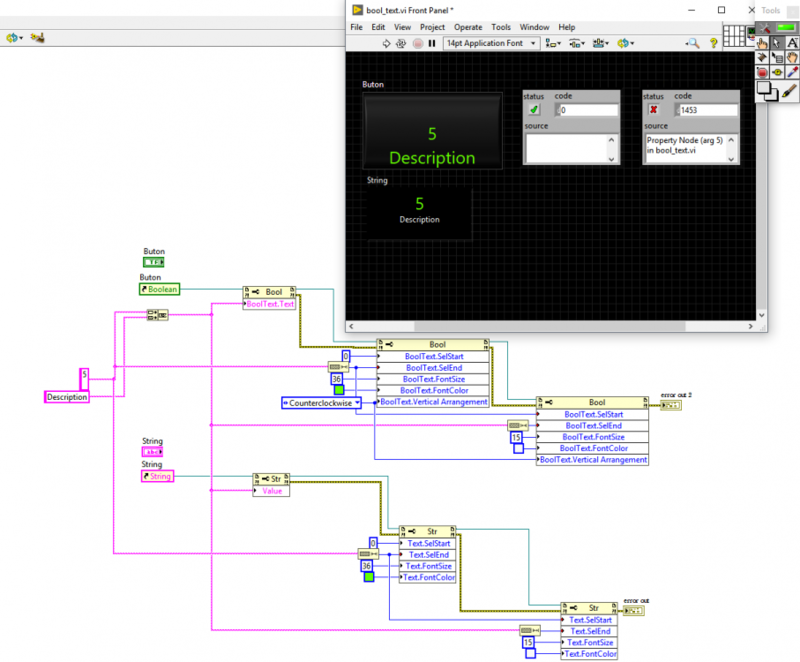 Which means that the property node interface simply doesn't appear to support programmatic interaction. It's what we call a bug. You should report it. Interesting history. Thanks for the information.